Since the 1950's, made for TV movies have grabbed headlines and made impressions on the nation's popular culture. These feature-length films are produced exclusively by television networks for TV audiences. With much smaller budgets than those for films produced for the big screen, the production qualities of made for TV films are often less sophisticated. Additionally, their plots are often ripped from the headlines. Television drama movies have always been a popular genre. 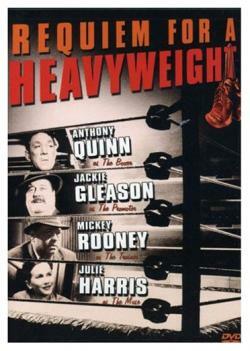 Requiem For A Heavyweight (CBS, 1962) - Adapted from a teleplay by Rod Sterling, Anthony Quinn stars as a boxer who is past his prime and forced into retirement. Brian's Song (ABC, 1971) - This is a moving account of friendship and loyalty based on the true story of Chicago Bears' teammates Gale Sayers and Brian Piccolo. That Certain Summer (ABC, 1972) - In the first gay-themed made-for-TV movie, a divorced father who is living with his homosexual lover must confront his son when he comes to visit. Dawn: Portrait of a Teenage Runaway (NBC, 1976) - This is the story of a teenage runaway who seeks a better life in Hollywood. A Message From Holly (Hallmark, 1992) - It's a serious drama about a single mom and artist and her daughter facing extreme crisis. The Day After (ABC, 1983) - This drama taps into the tension between the United States and the Soviet Union during the Cold War. If These Walls Could Talk (HBO, 1996) - This groundbreaking film features the stories of three women who live in the same house during different decades (1950', 1970' and 1990's), and are all facing unwanted pregnancies. Animal Farm (TNT, 1999) - Based on George Orwell's 1945 novel, farm animals revolt against their farmers in this satire of Stalinist Russia. Wit (HBO, 2001) - This critically acclaimed adaptation of Margaret Edison's Pulitzer Prize winning play chronicles the struggles of a feared but respected English professor who is diagnosed with cancer. The Five People You Meet in Heaven (ABC, 2004) - Based on the novel by Mitch Albom, an elderly man learns the meaning of his life while trying to escape from pergatory. The Ron Clark Story (TNT, 2006) - Matthew Perry plays a young suburban young teacher who transfers to a NYC inner city school in this inspiring film. A Raisin in the Sun (ABC, 2008) - An African American family struggles with poverty and racism in the South Side of Chicago during the 1950's. Anne of Green Gables (PBS, 2016) - The latest adaptation of Lucy Maud Montgomery's classic novel tells the story of orphan Anne Shirley. If it's romance you're seeking, there's lots of it on television. Below are some highlights. 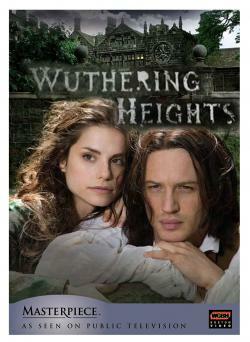 Wuthering Heights (PBS, 2009) - Tom Hardy and Charlotte Riley play famous lovers Heathcliff and Catherine in this adaptation of Emily Brontë's classic novel. 12 Dates of Christmas (ABC Family, 2011) - After a terrible Christmas Eve blind date, a young woman relives that same day and date over and over again. Ring of Fire (Lifetime, 2013) - Based on Anchored In Love, a biography of June Carter Cash, this film recounts the famous love story of Johnny and June Cash, as told from June's perspective. Learn more about people from history or notorius personalities in biographical made for television movies. The Amy Fisher Story (ABC, 1993) - Drew Barrymore stars in this true story of a troubled teen who seduces and becomes obsessed with a married man and will do anything to be with him. Gia (1998, HBO) - Angelina Jolie stars in this biography based on the rise and fall of Gia, a supermodel during the 70's and 80's. Grey Gardens (HBO, 1999) - Drew Barrymore and Jessica Lange star in this biography of the aunt and cousin of Jacqueline Kennedy Onassis. You Don't Know Jack (HBO, 2010) - Al Pacino stars as Dr. Jack Kevorkian, known as "Doctor Death" for his doctor-assisted suicides. James Dean (TNT, 2001) - James Franco stars in this biopic of actor James Dean. Behind the Candelabra (HBO, 2013) - A biopic of the extravagant piano performer Liberace, the movie focuses on his secret love affair with Scott Thorson. Bessie (HBO, 2015) - This is a fascinating film about the life of legendary blues singer Bessie Smith. Television is the perfect platform for interesting documentaries and movies based on true stories. Killing Lincoln (GEO, 1988) - This political drama outlines the events surrounding the assassination of U.S. President Abraham Lincoln. The Indictment (HBO, 1995) - This is a film based on the true story of McMartin Preschool Trial during the 1980s. Pirates of Silicon Valley (TNT, 1999) - Often called "The original Steve Jobs movie," this film chronicles the personal rivalry between Steve Jobs and Bill Gates. Prayers for Bobby (Lifetime, 2009) - Sigourney Weaver stars as a conservative Christian who learns her son is gay. 61* (HBO, 2001) - A must see for any baseball fan, 61* chronicles the 1961 baseball season of the New York Yankees as Roger Maris and Mickey Mantle attempt to beat Babe Ruth's home run record of 60. The Laramie Project (HBO, 2002) - This film details the aftermath of the 1998 murder of Matthew Shepard in Laramie, Wyoming. Recount (HBO, 2008) - Kevin Spacey and Bob Balaban star in this film that examines the events surrounding the controversial 2000 presidential election. Cuddle up in front of the television with someone special for these riveting thrillers. 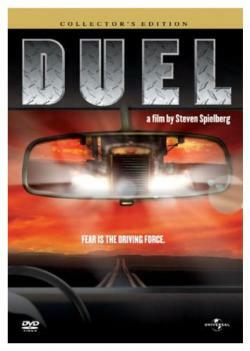 Duel (ABC, 1971) - Steven Spielberg's first film is a psychological thriller about a motorist terrorized by an evil truck. The Nightstalker (ABC, 1972) - In this horror flick, Darren McGavin plays a relentless Las Vegas newspaper reporter who investigates a strange case involving murders committed by vampires. Don't be Afraid of the Dark (ABC, 1973) - A cult classic, this horror film is about a couple who inherit an old house and learn it is possessed. Bad Ronald (ABC, 1974) - A family is terrorized after moving into a new house that hides a teenage killer in a secret room. Citizen X (HBO, 1995) - This crime thriller is based on the true story of the investigation of a Russian serial killer. Mother, May I Sleep with Danger? (NBC, 1996) - Tori Spelling stars in this thriller about a teenager who is dating a psychopath. If it's action you want, you'll find it on television. Tribes (ABC, 1970) - This film tells the story of a young, reluctant anti-war hippie drafted to the United States Marine Corps during the Vietnam war era. All Quiet on the Western Front (USA, 1979) - A timeless, gripping anti-war drama, this is told from the perspective of young schoolboys turned army recruits in the trenches in Germany during WWI. Special Bulletin (ABC, 1983) - In this movie, which is staged as an actual late-breaking news event, an activist group threatens a nuclear testing plant. The Lost Battilion (A&E, 2001) - Rick Schroder plays a US Army Major who whose men are trapped behind enemy lines during World War I.
Battlestar Galactica: Razor (Sci-Fi, 2007) - Based on the Battlestar Galactica television series, this movie tells the story of the commander of the Battlestar Pegasus. Television also does family friendly movies really well. 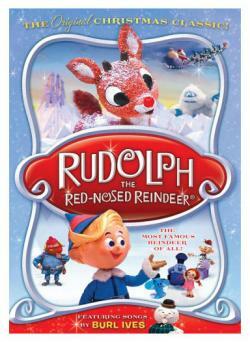 Rudolph: The Red Nosed Reindeer (NBC, 1964) - A Christmas classic, this animated show tells the story of an outcast reindeer who saves Christmas. Santa Claus is Comin' to Town (ABC, 1970) - Based on the hit song of the same name, this Christmas classic is the story of how Santa Claus came to be. The Hobbit (NBC, 1977) - This movie is an animated version of J. R. R. Tolkien's tale of a hobbit that joins a group of dwarves in pursuit of treasure. A Christmas Carol (CBS, 1984) - George C. Scott stars as a Scrooge, who learns the true meaning of Christmas in this celebrated version of the Dickens classic. School's Out (Nick, 1992) - Marking the end of the DeGrassi TV series, the movie follows high school classmates as they spend one last summer together after graduation. Halloweentown (Disney, 1998) - The is the first in a series of movies recounting the Halloween adventures of a teenage witch. Alice in Wonderland (CBS, 1999) - This movie is superb portrayal of Lewis Carroll's Alice in Wonderland story. High School Musical (Disney, 2006) - This is a contemporary musical comedy about love, friendship, and resentment between a popular high school basketball star and a shy, new girl. High School Musical 2 (Disney, 2007) - The second in the series, the sequel focuses on senior year as the Wild Cats stage a musical to express their experiences and feelings about the future. Didn't find what you're looking for? The following online resources will provide you with searchable databases where you can find even more made for TV movies. Ultimate Disney - This site has a detailed listing of all made for TV films produced by Disney. iTunes - iTunes is an excellent source for made for TV movies. You can purchase and download them to watch whenever you like. Amazon - At Amazon, you can search their directory of made for TV movies that have been released on DVD. If you see one you like, you can buy it and watch it whenever you wish. Super Seventies - The 1970s were a bit of a heyday for made for TV films. Because of their campy style and dated fashions, these films are of particular historical interest for many people today, even if they're just looking for films to goof on. The website Super Seventies does a great job of listing and providing descriptions for some of the most memorable films from that decade. TV Tango - TV Tango is an extremely comprehensive guide to online TV information. You can search for search and browse TV show databases for all types of made for TV movies. For example, this list of NBC Monday Night movies includes all movies ever shown on NBC Monday Night Movies. People are drawn to made for TV movies for different reasons. For some, the cost of going to the movies has gotten too high, so made for TV movies are an inexpensive alternative. For others, the toned down production and family friendly themes are preferred to the brashness of Hollywood movies. Whatever your reason for watching made for TV movies, this directory will help you find what you're looking for.